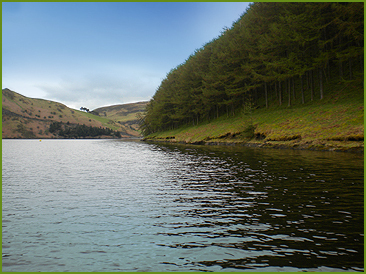 Llyn Clywedog is a 615 acre reservoir built on the head waters of the river Severn in the late sixties to supplement the flow on the river and also alleviate flooding in upper Severn valley. Nowadays it is one of if not the premier water in Wales. 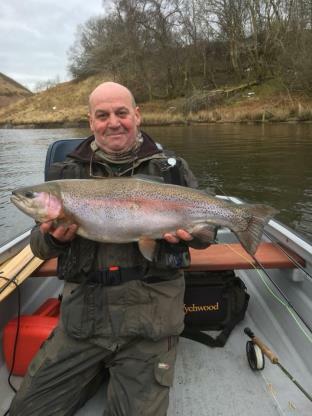 Being just over 900ft above sea level makes the winters challenging but being at this elevated height does have its advantages during the summer months when the temperatures on the lowland reservoirs can send the fish diving for the nearest aerator or the deeps of the dam wall the more upland waters such as this stay that little bit cooler as to allow the trout to feed right throughout the summer months. The main food sources apart from spring and autumn buzzer hatches are mainly a whole host of terrestrial insects which provide the fish with a good reason to be watching the surface but by far the most exciting is the world famous Coch y bondu beetle which appears from the start of June right through into July when the cow dun starts, soon after some spectacular hatches of daddy long legs makes the autumn a bonanza for surface sport.